First off, we'd like to congratulate Mariaeb, our winner for this month's blog giveaway. We'll be in touch shortly to arrange for the delivery of your prize, a Nova Platina Deluxe Interchangeable Set. 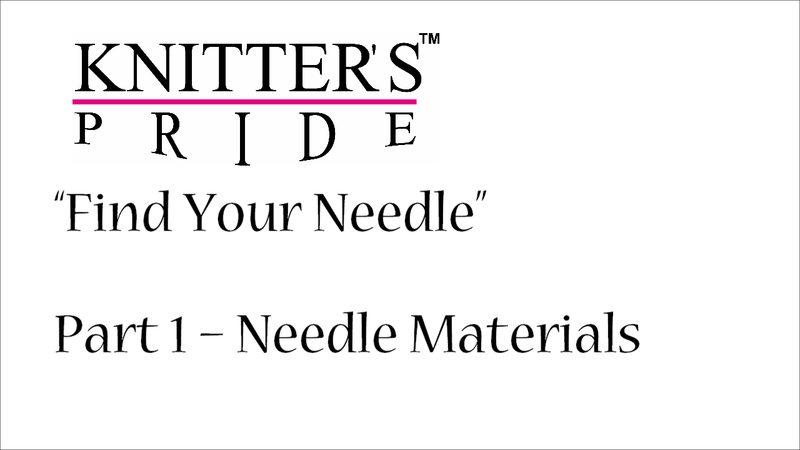 Knitter's Pride has joined forces with Staci Perry of VeryPink.com to bring you monthly project-based tutorials featuring fabulous free patterns and Knitter's Pride products! 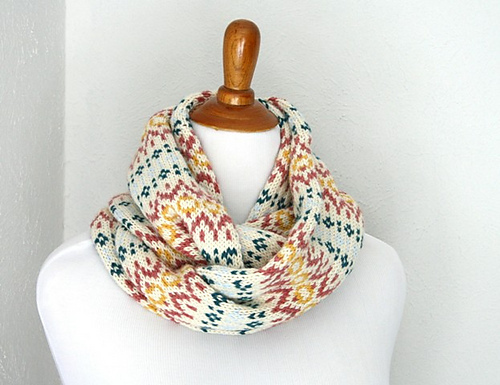 Earlier this month, Staci released a new free pattern called Color My Cowl, and along with it, a free tutorial which features our Nova Platina needles and demonstrates how to master fair isle techniques to knit her new design. 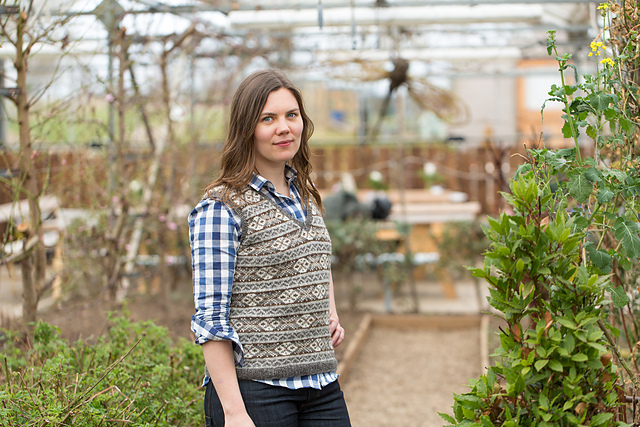 We got a chance to interview Staci to learn more about knitting, her design process, and the early days of Very Pink Knits. Enjoy! When did you learn to knit? Crochet? I was five or six years old when I learned to crochet, and I learned to knit shortly after that. My Great-Great Aunt Ida taught me, it's kind of a normal thing for Scandinavian and Scandinavian-American families to teach kids fiber arts at a young age. I knit and designed stuff ALL THE TIME growing up, then stopped through college, then started up again, and haven't stopped since. 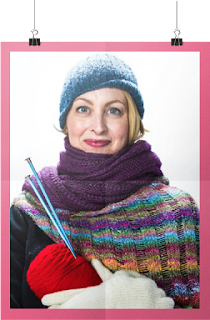 It's crazy to think that I've been knitting for over 40 years. VeryPink Knits was one of the first knitting-related channels we know of from the early days of YouTube. How did you get started, and what has changed in the years since your channel launched? When I started making videos, I was teaching knitting classes here in Austin at a yarn shop. My idea was to make videos so that the students in my classes would have a video to reference after they took a class with me. The first videos I released started getting views from all over the place, not just my knitting class students, and that was my motivation to make videos for a wider audience. My mission and format is mostly unchanged since the early days - I still teach knitting in short technique videos and longer tutorials. But the years I spent building up my audience now allows me to work with sponsors and other designers, which gives a lot of new flavor to what I present in my videos. I'm also WAY more comfortable on camera than I was seven years ago! What was the design process like for the Color My Cowl pattern which launched earlier this month? That's a good question - you're making me think! It started with the idea for a fair isle tutorial, because I've had a lot of requests for one recently. 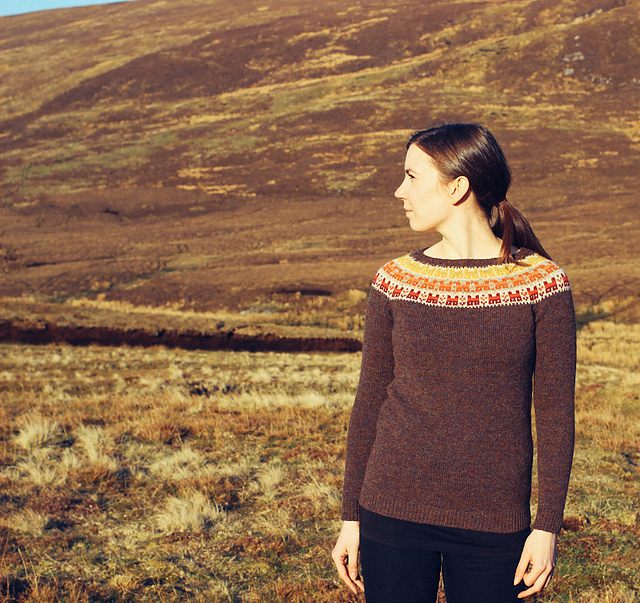 My first objective was to make it an easy introduction to fair isle, but also a pretty pattern that looks impressive when it's finished, and a very "wearable" item. I use Excel when I design colorwork...I change the cell shape to squares, and start coloring. I finished a rough idea for the color pattern, then I started knitting. I always put needles to yarn very early in a design, because I will inevitably change and add things once I see how a design is actually looking as it's knit up. Sure enough, I ended up trashing half of my first color design once I saw it spelled out in stitches. I made some changes, then started to plan out colors for the samples that I would eventually show in the video. While I was doing this in Excel, I thought, "This would be fun to do with colored pencils". And that's how I got the idea to turn the cowl stitch pattern into a coloring page for knitters. I often get questions about what software I use to design. I keep it pretty simple! Like I said above, I use Excel for charting colorwork. I also use Excel for charting stitch patterns like lace and cables. Oh, and I use Excel (as an actual spreadsheet) when I'm grading patterns into different sizes. The only other software I use is Google Docs. I take notes for each design using Documents, and the notes page eventually becomes the final version of the pattern that I turn into a PDF. I like using Google Docs because all of my docs are available to me across all of my devices. Love it! 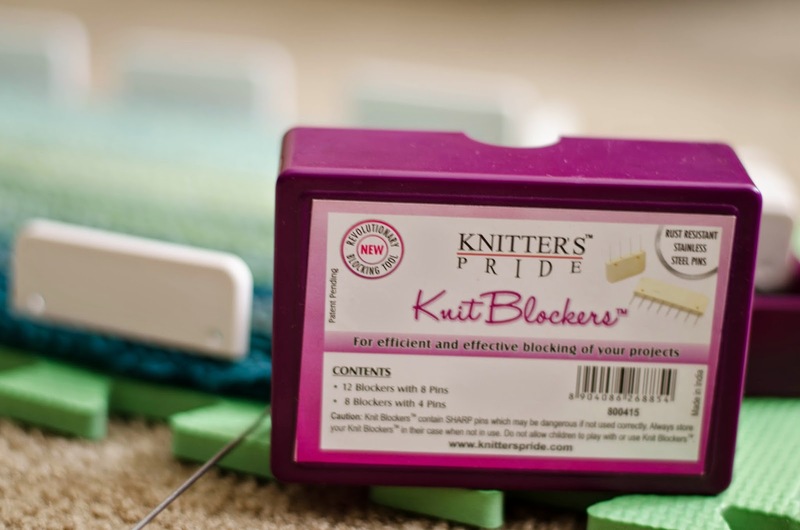 That's tough, because my favorite Knitter's Pride product changes from week to week. 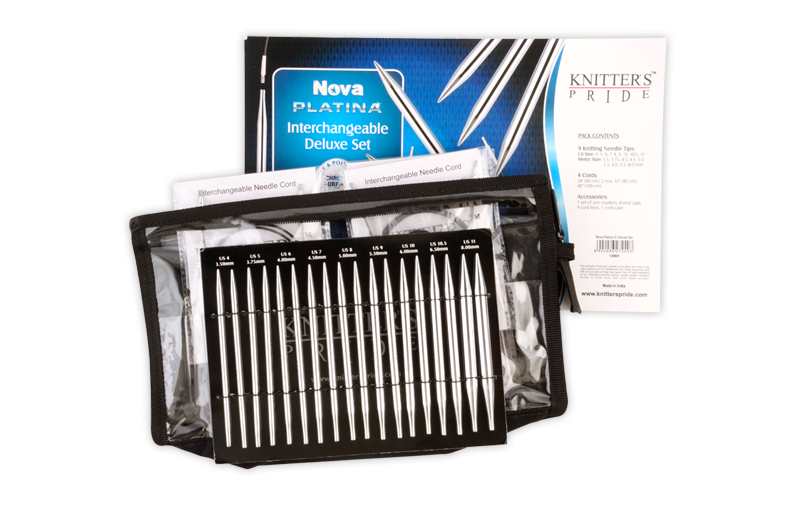 But my two all-time favorites have to be Platina and Platina Cubics needles. Right now, if I was being shipped off to a desert island, I'd grab my Platina 16" interchangeable set, because that's what I'm using now on a couple of designs. And if I could, I'd jam my Knit Blockers into my suitcase while no one was watching so I could have those, too. 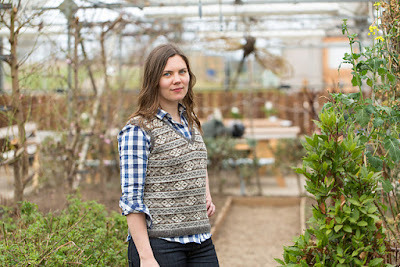 Many knitters might be intimidated by Fair Isle knitting. How would you convince someone to give it a try? Hopefully, I'd be able to convince them to give it a try by having them watch the video tutorial! I think people look at different styles of knitting, like lace or fair isle or cables, and they think NO WAY. That kind of knitting is for other people, people who are better at knitting than I am. But after I show them how it's done, and they see that it's still just the simple knit stitch they know and love, they get excited to give it a try. I hope people have come to know me as the knitting teacher they can trust to give them projects that they can actually do, and enjoy, and finish. 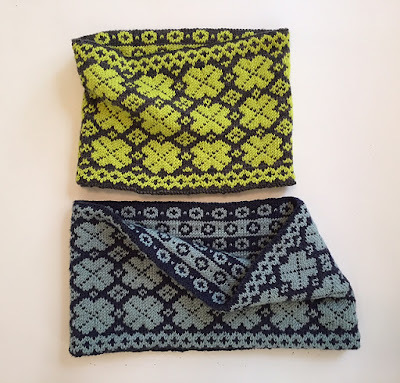 So, I'll work on convincing someone to give new techniques (like fair isle) a try by showing them how it's done, giving them a simple pattern to give it a go, and asking them to trust me, they can do this! Once you have mastered the techniques above, it's time to put them to the test! We've collected some of our favorite trending patterns on Ravelry to inspire you to give Fair Isle knitting a try this summer. Click the links below to view more pattern information! 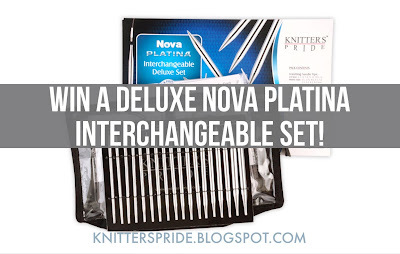 This month, we're giving 1 lucky blog reader the chance to win a Nova Cubics Platina Deluxe interchangeable set! 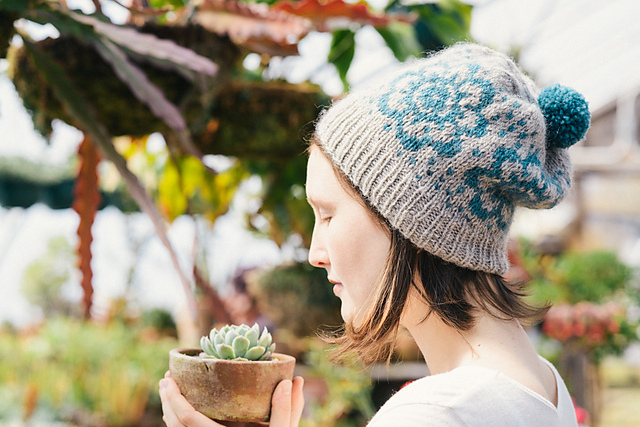 To enter, leave a comment on this blog post telling us what Fair Isle project you most recently completed or are looking forward to casting on! We will randomly select a comment as our lucky winner to announce here on our blog on Friday, June 25. Good luck!